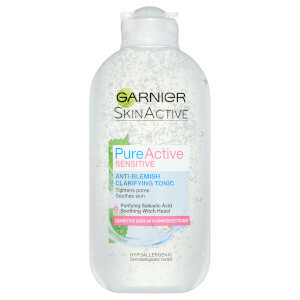 Soothe and hydrate spot-prone skin with Garnier Pure Active Sensitive Anti-Blemish Soothing Moisturiser, a hypoallergenic face cream that delivers soothing moisture while targeting spots to promote a clarified complexion. Adapted to sensitive skin with imperfections, the moisturiser combines effectiveness with gentle hydration to leave skin feeling soothed and moisturised for 24 hours. Formulated with purifying Zinc and soothing Witch Hazel, the moisturiser helps to visibly reduce the appearance of spots and marks without drying out the skin. Its pH-neutral formula is hypoallergenic for optimal tolerance, and will mattify the complexion while refining the look of pores (with continued use). Utilising naturally derived ingredients where possible, the moisturiser will leave blemish-prone skin feeling soothed, relieved and hydrated with no greasy or sticky residue. Free from parabens, silicones and artificial colourants. Aplique diariamente uma ou duas quantidades do tamanho de uma ervilha na pele limpa e seca. 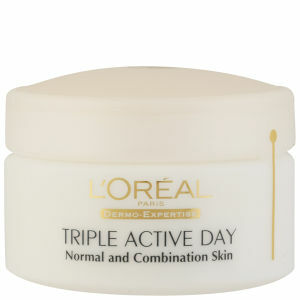 Para melhores resultados, limpe previamente a pele com o Gel de Limpeza Pure Active Sensitive e com o Tónico Pure Active Sensitive. 967269 9, Aqua / Water, Dimethicone, Glycerin, Hydrogenated Polyisobutene, Alcohol Denat., Butylene Glycol, Glyceryl Stearate, Salicylic Acid, Ammonium Polyacryloyldimethyl Taurate, Isopropyl Lauroyl Sarcosinate, Octyldodecanol, Acrylonitrile/Methyl Methacrylate/Vinylidene Chloride Copolymer, BHT, Capryloyl Glycine, Capryloyl Salicylic Acid, Dimethicone/Vinyl Dimethicone Crosspolymer, Disodium EDTA, Hamamelis Virginiana Water / Witch Hazel Water, Isobutane, Maltodextrin, PEG-100 Stearate, Perlite, Phenylethyl Resorcinol, Poloxamer 338, Salix Alba Bark Extract / Willow Bark Extract, Silica, Silica Silylate, Sodium Hydroxide, Sodium Polyacrylate, Stearyl Alcohol, T-Butyl Alcohol, Tocopherol, Xanthan Gum, Zinc PCA, Parfum / Fragrance, (F.I.L B195214/1).